Taffy Mail is one of the UK’s much loved American Candy themed subscription boxes, so if you love those popular brands from over in the States, but struggle to find them here in the UK, Taffy Mail is the box for you! 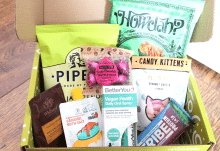 The contents of each box is a surprise every month, but you’ll always get a great variety and everything is authentically from America. 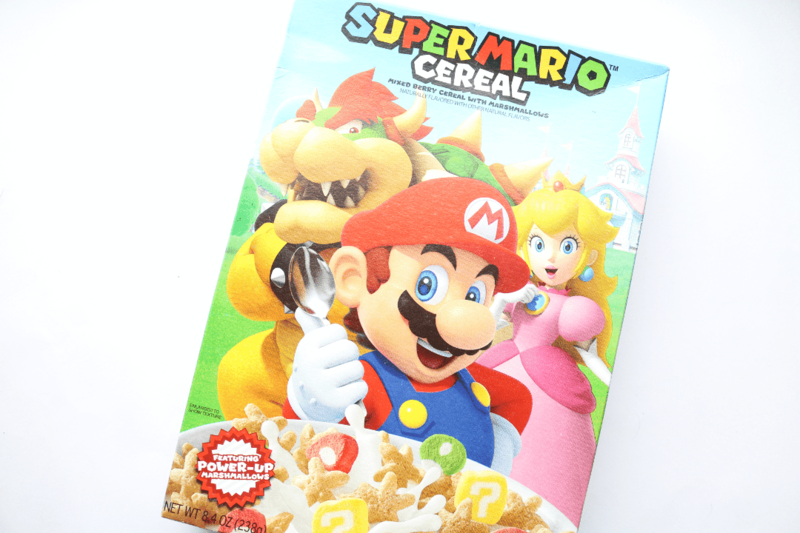 The big item this month is a box of Super Mario Cereal which features ‘power-up marshmallows’. 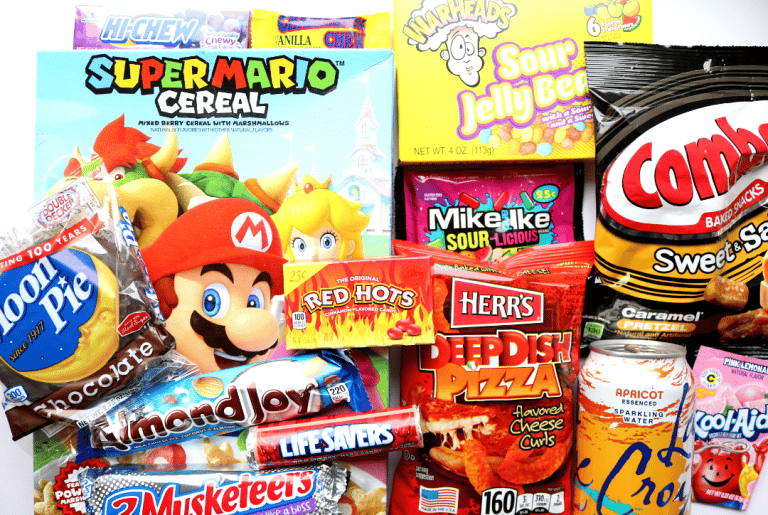 Like most American cereals, it’s very sweet and sugary so it tastes amazing and is a great way to indulge your inner child! Next up, I found a large box of Warheads Sour Jelly Beans. 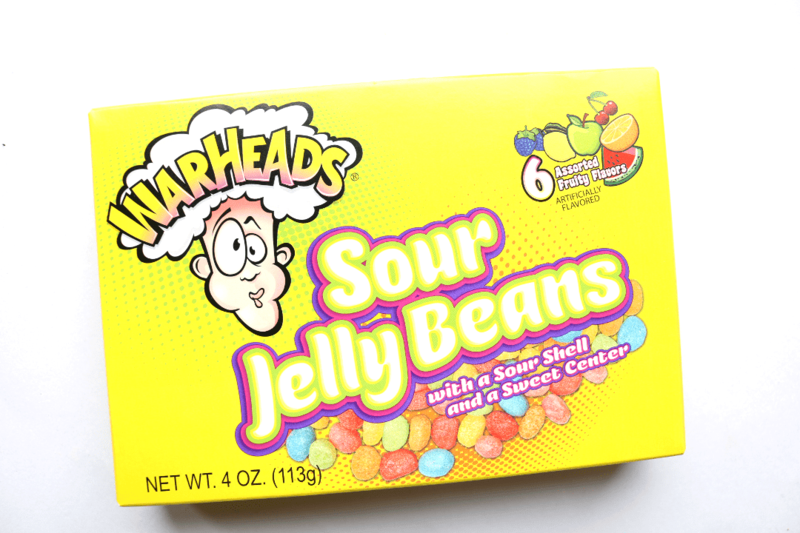 I’m a huge fan of anything super sour so Warheads are one of my favourite brands for that, and these Sour Jelly Beans feature a sour shell with a sweet centre in a range of assorted fruity flavours. 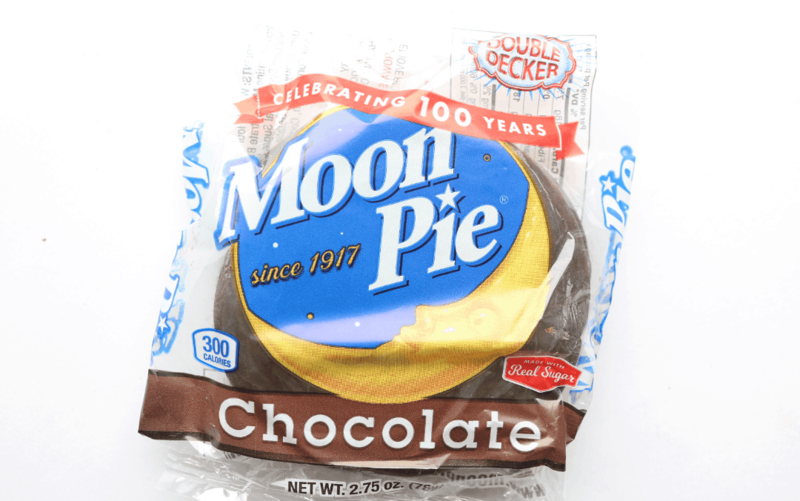 I haven’t heard of Moon Pie before but it’s a popular childhood favourite treat in America. It’s kinda like a Wagon Wheel but thicker with two round graham crackers and a marshmallow centre, all covered in milk chocolate. Pretty good! 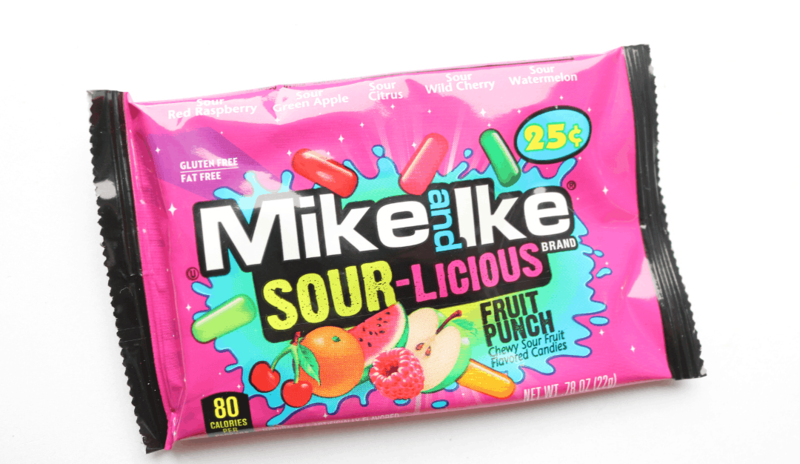 More sour sweet goodness, this time from Mike and Ike. These are their popular Sour-Licious Fruit Punch candies which are not as sour as the Warheads above, but still have a nice zing to them. Next, I found a packet of Hi-Chew which are like Chewits. These are in the popular Grape flavour and have a nice fruity juiciness about them. Now, this is different! 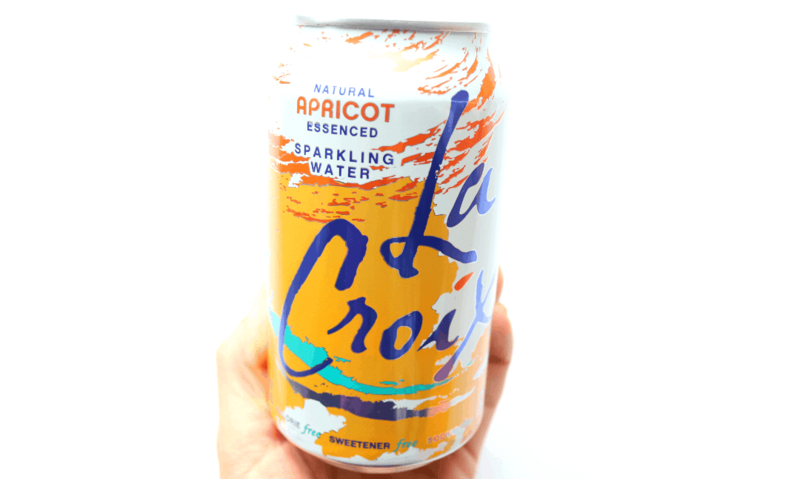 Usually, there’s a can of a super sweet classic American soda (often from Pepsi or Fanta), but this month Taffy Mail have included a can of La Croix Sparkling Water in Apricot which is really refreshing and free from artificial sweeteners. I liked this a lot and would definitely buy it again if I saw it in the UK. Is there anything better than marrying the best of sweet and salty flavours together? 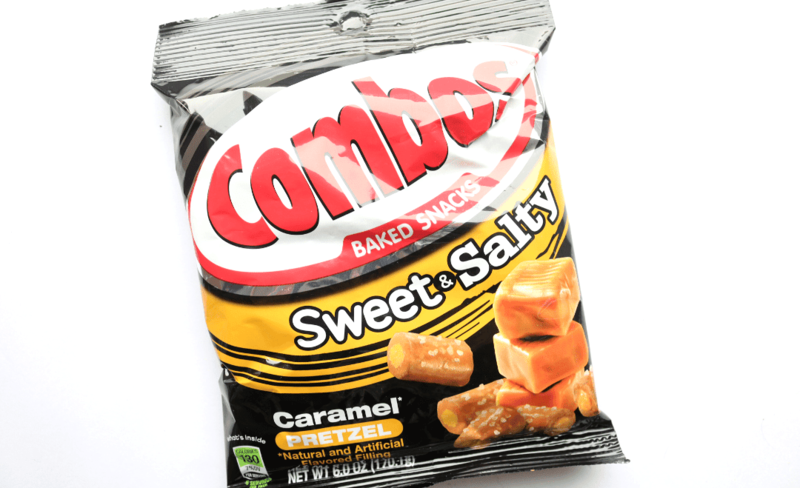 These Combos tick all the right boxes with their moreish Sweet & Salty Caramel Pretzel pieces. 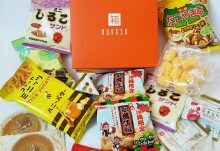 They really hit the spot when you want a snack to share with friends! 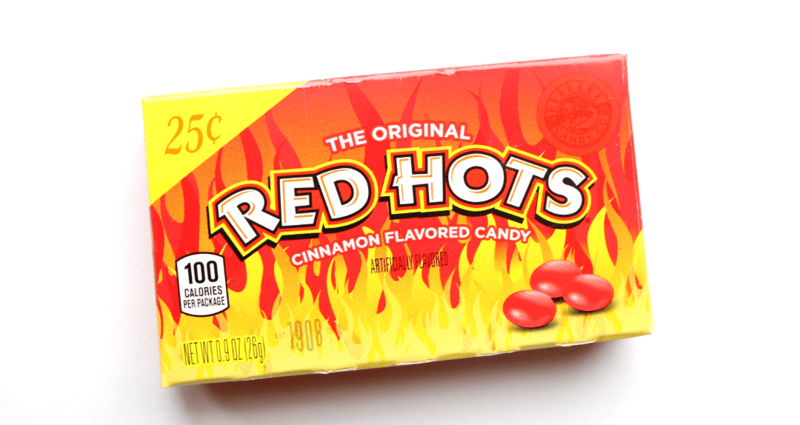 Towards the bottom of the box, I found a small pack of The Original Red Hots which are round cinnamon flavoured hard candies that have a fiery spice to them. I have to be in the mood for these, but I can see why so many people like them. These are amazing! 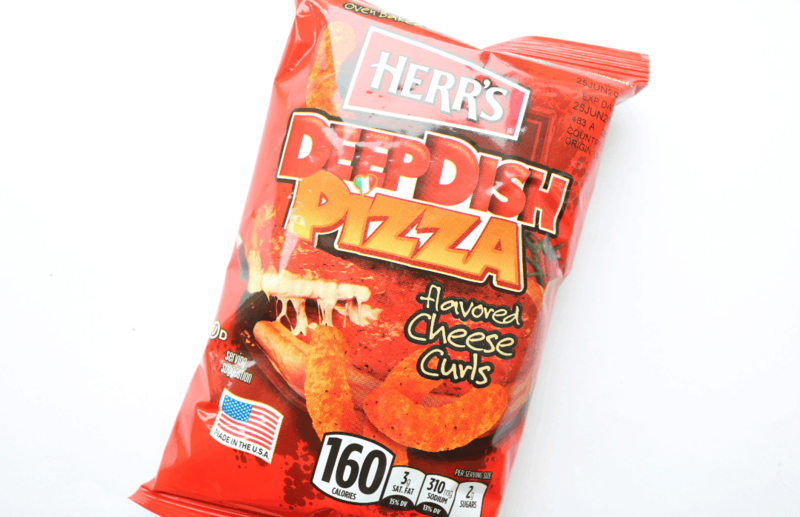 They really do taste like pizza strangely enough and remind me of a cross between Cheetos and Wotsits. Almond Joy is very much like a Bounty bar but with pieces of chunky whole almonds in it. The filling is perhaps not as sweet as a Bounty, but you get the idea. 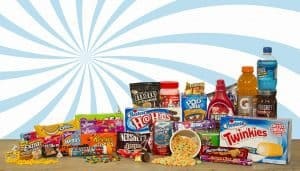 Popular in a lot of people’s minds for that scene from Stranger Things, 3 Musketeers is one of those much loved American chocolate bars that deserves to be tried out by anyone who is interested in American candy. It’s similar to a Milky Way bar here in the UK. 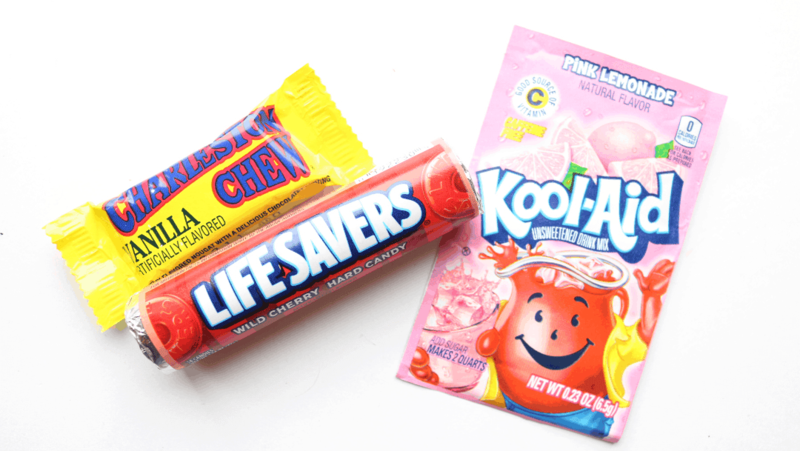 The last couple of products in this month’s Taffy Mail box are a Charleston Chew, a pack of Lifesavers in Wild Cherry and a sachet of Kool-Aid in Pink Lemonade. 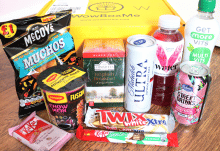 I really enjoyed this month's Taffy Mail Extra box - the variety was great with a good mix of sweet and savoury products. How would you rate Taffy Mail ?